What makes a wonderful weekend? 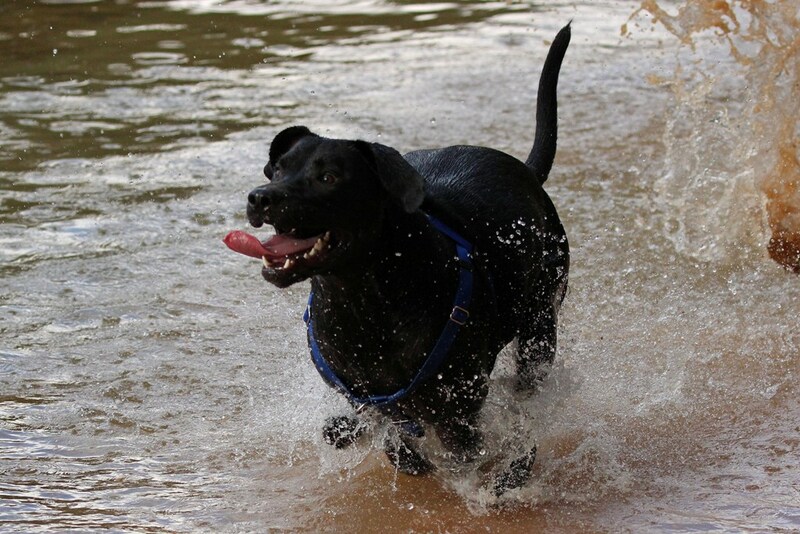 Well, if you ask Tucker, it’s any weekend that involves water…and since this weekend included not one, but two river romps…well…he was one happy labramutt! Usually, when we take him to the river or to the lake, all of my pictures are of him with a fluorescent fetch stick dangling from his mouth, so this time I tried to position myself to snap some shots where he was running toward me, en-route to retrieve his toy. I had to laugh when I downloaded the pictures, because instead of the glowing green wand, his flopping tongue was prominent in all the pictures! The water starts off such a lovely grayish-green, but this fellow can churn up some mud in a heartbeat. 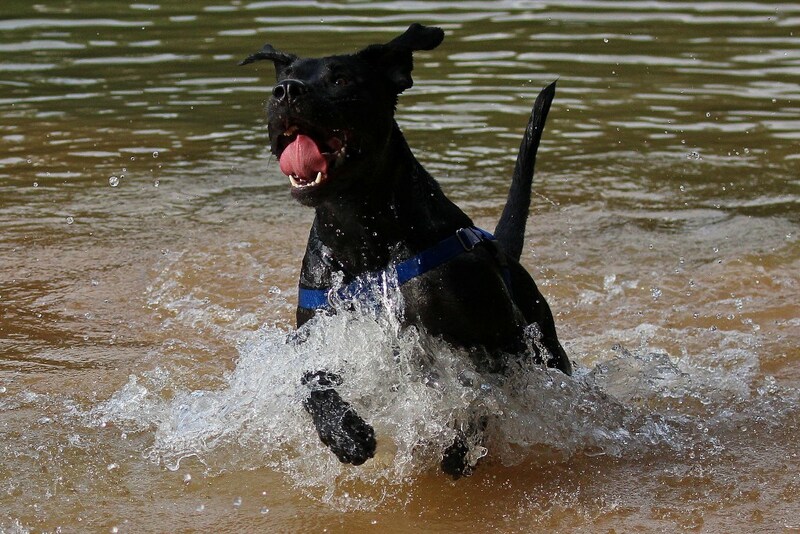 Still, when I watch him racing and splashing, he exudes such pure joy that I can’t help but feel the same. By the end of each trip he was a scruffy, sloppy, muddy, drippy, but oh so happy mess! Yep, if you were to ask, I’m pretty sure Tucker would tell you he had a wonderful, water-full weekend! 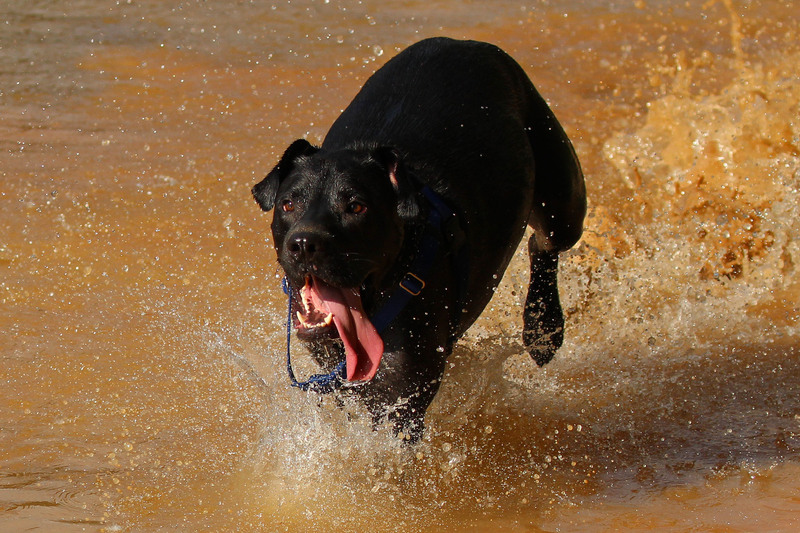 Life really is more fun with a Lab! 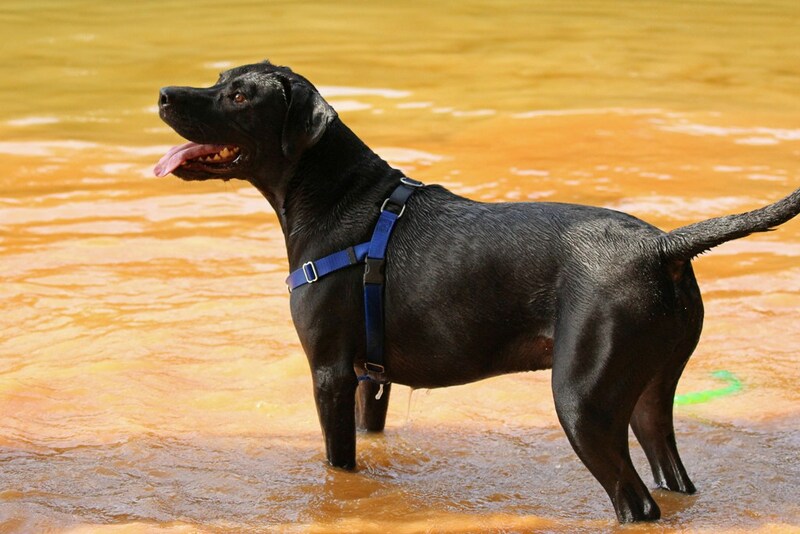 This entry was posted in Lab Life and tagged adventure, hiking, labrador retrievers, parks, pets, photography, rescue dogs. Bookmark the permalink. He looks like Michael Jordan with his tongue hanging out! What a happy boy! Such a happy looking fellow, great photos! I was just thinking he looked like he was smiling with his tongue lolling and you mentioned it in the post. He’s a happy boy. Water is his happy place! 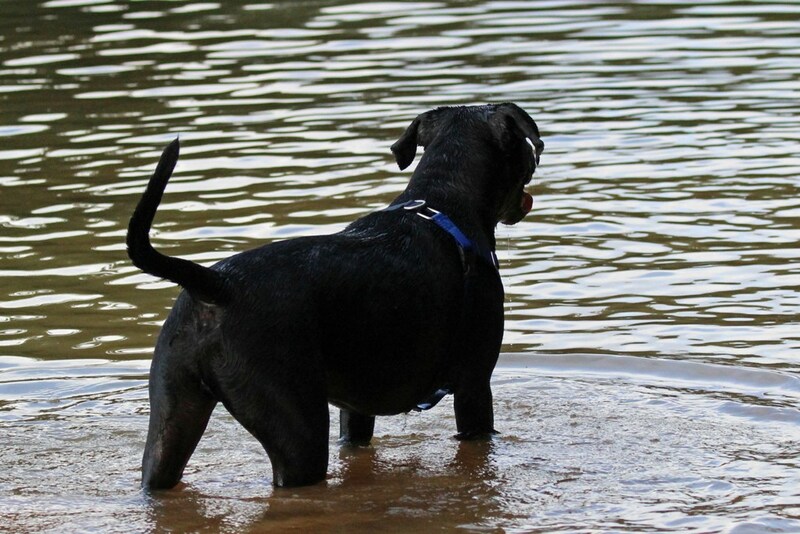 I reminisce about our black lab, Shadow, every time you post photos of Tucker. 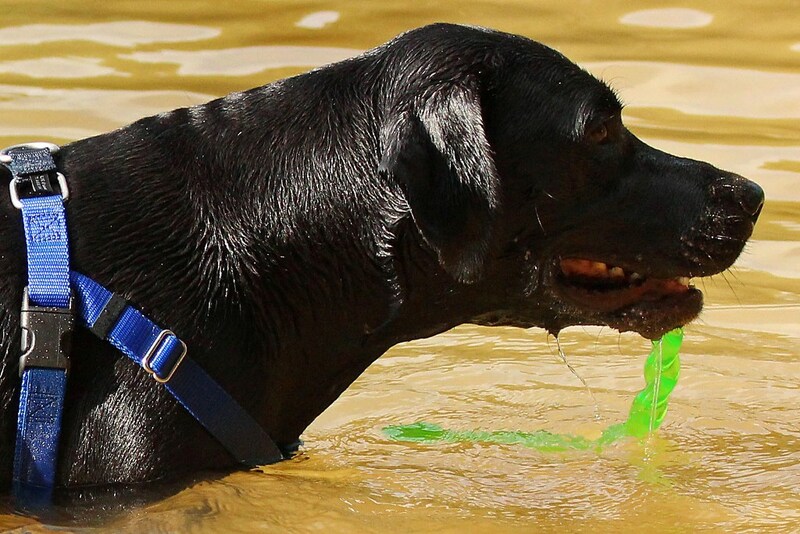 🙂 Labs are such happy dogs and really do make life more fun…..especially when water is involved. 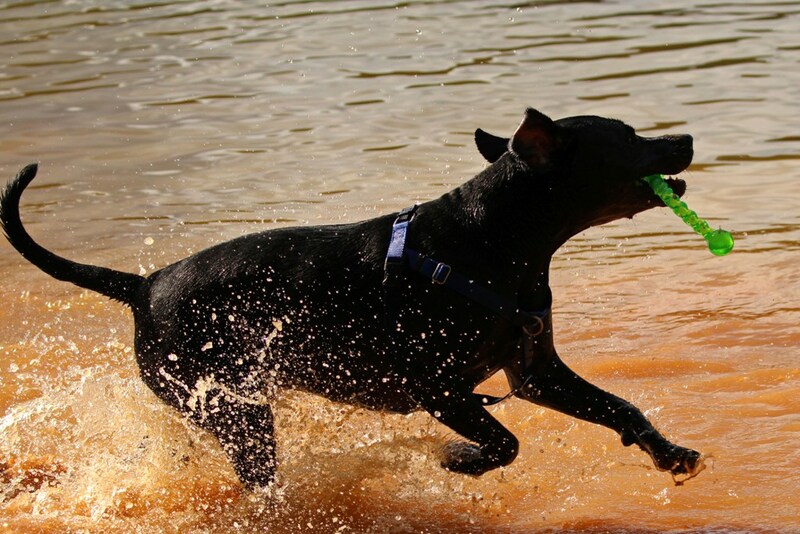 Thanks for posting Tucker’s water play!